I love fantasy and science-based science fiction. Have you read any of the many books by L. Ron Hubbard? With hundreds of books spanning the century from the 1930’s to years after his death in the 1980’s—I think most of us have heard of him. When I was offered the opportunity to review a couple of his early books last fall by Galaxy Press, I was almost embarrassed to admit that I had never read any of his work! As I learned more about his prolific career, I was amazed by the many subjects that his books covered. Mysteries, Science Fiction and Fantasy held titles familiar to me—but, I had no idea that L. Ron Hubbard had written westerns and even a few books that ventured into the romance category. I chose to review Fear and The Carnival of Death. Did I discover a new favorite author? Note: I received a complimentary copy of this book in exchange for my review--but, all opinions are my own. Fear accomplishes what every fantasy novel should—it borders frighteningly close to reality. Fear is not only a page turner—but, it is so well written that it forces readers to consider the “what-if’s” of the unknown. 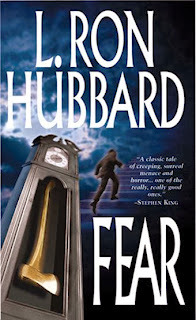 Would I recommend Fear by L. Ron Hubbard? Bear in mind, this book was published in 1940 orginally—so the writing style is slightly different than what we may be accustomed. However, that same writing style likely inspires the better psychological thriller writers of today. If you enjoy psychological thrillers, science based science fiction or medical thrillers—this book may be for you. I really enjoyed it personally and it certainly motivated to read more from L. Ron Hubbard. I grew up reading Stephen King—and thought it was extraordinary that the imagery from his written words inspired nightmares. 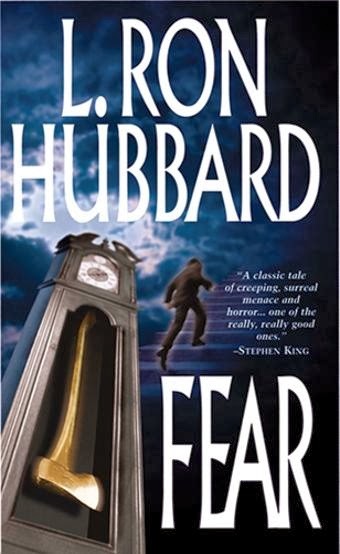 L. Ron Hubbard wrote Fear with an underlying darkness. There is nothing more frightening than fearing the possible! 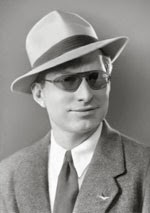 Born March 13, 1911, L. Ron Hubbard lived a life at least as expansive as the stories with which he enthralled a hundred million readers through a fifty-year career. This book is part of the Galaxy Press Stories from the Golden Age by L. Ron Hubbard.